Products Page e - $10. Courses + recorded yearly cycle for shabbat amd Festivals. Enjoyable fully interactive tropes training software with innate accessibility to provide inspiring memories and lifelong skills. The program is designed as a complete course-subject for schools or individuals; either preparing for Bar/Bat Mitzvah or for learners of all ages who aspire to acquire the skill of chanting Torah and Haftarah. V2 courses feature Female and Male recordings, in 4 keys, additional instruments, new content and many upgrades. Quickly master Torah, Haftarah tropes. Male and female studio recordings in four keys and through additional instruments present the material. The course offers Trope’s ear training, self-testing. Puzzles and games together with rich and comprehensive resources, which make this course enjoyable and inspiring. The program offer professional recordings of Lita and Avery/ Binder melodies. As well as a text reading track. You may also insert your recordings and the program will feature your voice and melody to address various traditions and evolving needs. Repeat a word or a phrase. Link recorded interpretations or sermons to sentences. 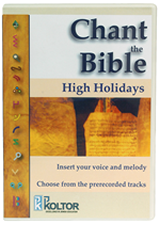 An elegant Tikun and unit about High Holidays Torah and Haftarah blessings are included.